HomeHomeConsumer InfoHow Will Canada’s Coal-Fired Electricity Phase Out Affect Consumers? Canada’s coal-fired electricity phase out plan, announced Nov 21, 2016, will of course have effects on consumers. Will Canadian citizens and businesses be able to handle the increased utility costs? Yes. I would like to give consumers on Canadian (an in particular Albertan) electricity markets some context about our costs for electricity. Canada as a whole offers consumers some of the lowest electricity rates in the world. 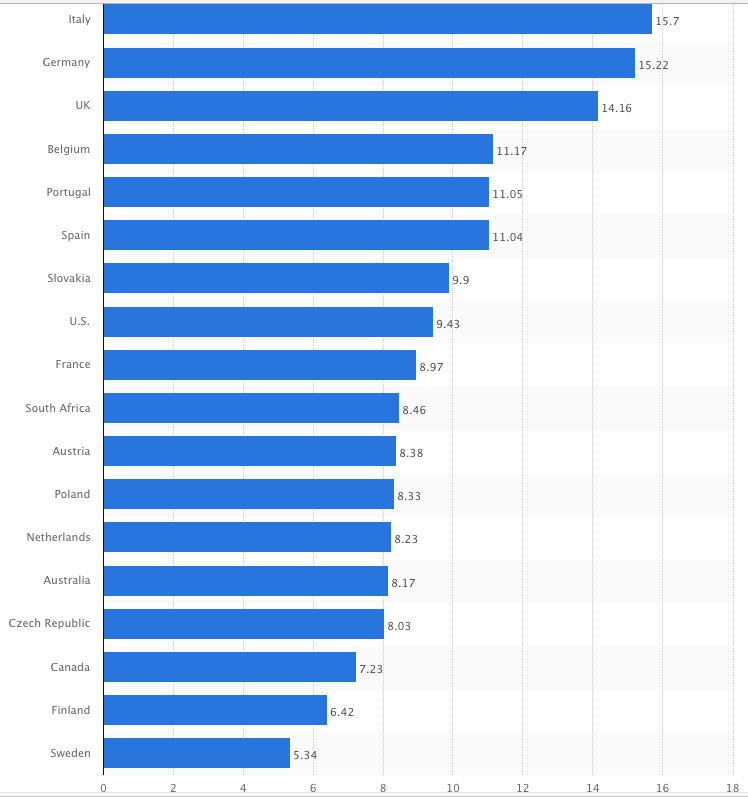 Canada offered the 3rd lowest rates of the group sampled and at 7.23 cents/kWh was more than 50% lower than the top 2 nations. Alberta in the meantime has been experiencing market prices for electricity even lower than that. 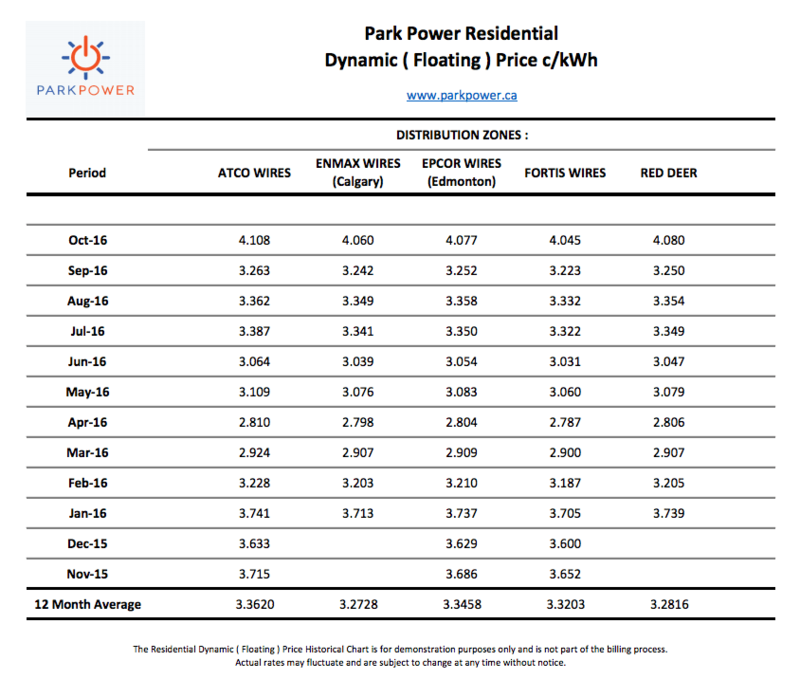 Throughout 2015 Park Power’s Floating Rate offering was in the 4-5 cents/kWh range. In 2016 Alberta’s wholesale electricity has been trading at consistently record low prices which has reflected in our Floating Rates. Now that you have some context, hopefully you will see that the phase out of coal-fired electricity in Canada, and Alberta, will not be a crippling provision placed on our economy. In all likelihood, in a few years electricity prices will return to where they were a few years ago. Yes more expensive than they are now but loads cheaper than the rest of the world. I believe that Canada’s marketplace will be able to handle any increased costs associated with a price on carbon and a coal-fired electricity phase out and will benefit from the reduction in emissions that will come along with both. Geographically we have colder climate then almost every one on this list so although your numbers (may) be correct average temps and length of such coler weather is very important. So with my statement I challenge you to be honest about the annual cost of electricity require by citizens of particular countries. There are many areas of Canada that hit -50c in comparison to say portigal or Africa. Hey Grant, you bring up a totally valid point about factoring usage into annualized costs. Winter in Canada means it is our highest electricity usage season as we require heat and light to survive and it will affect our annual costs compared to other nations and we’ll have to look into this. My first thoughts though are that our winters may not skew the data as much as one might think since we receive so much daylight hours during the summer season.